Made a trip up north and camped on the river for one night–connected with Mac who was camping not far away. We fished the normal spots to no avail. Hot weather had kept the fish down. 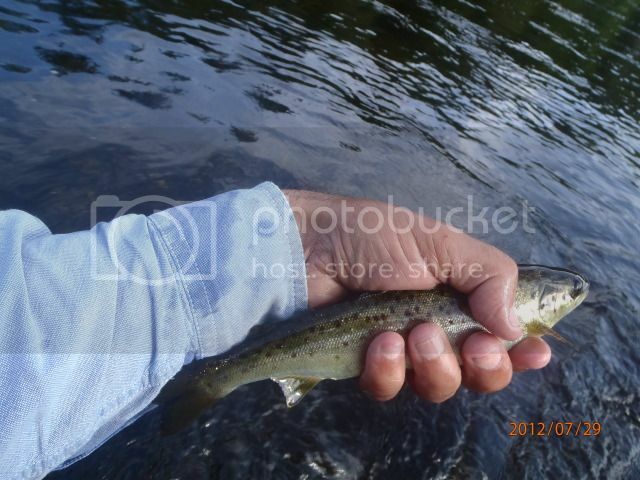 I fished for the longest time to some small rising brook trout, I conjecture from previous experience there. Nothing doing. Then switched to a dry/wet fly with CDC, aka “Cul de Canard:” that’s fuzzy stuff from the duck’s neck. The fly sits on the water and looks delicious and sinks slowly. That was the key–hit immediately. I’d been put to sleep by so much failure that once I hooked up, I failed–like a rookie–to keep the rod up. The brookie skeedaddled away. Mac and Mrs. Mac had less luck. After taking off for more promising pastures, I switched spots when I see small rises behind a rock in fast water where I’d gotten big fish before. Going back to the CDC after several long and inaccurate casts, he hit it IMMEDIATELY. One slight problem, though: I forgot I had switched to 6x tippet–very, very light! The bandit broke me off immediately–taking with me my last CDC-type fly. 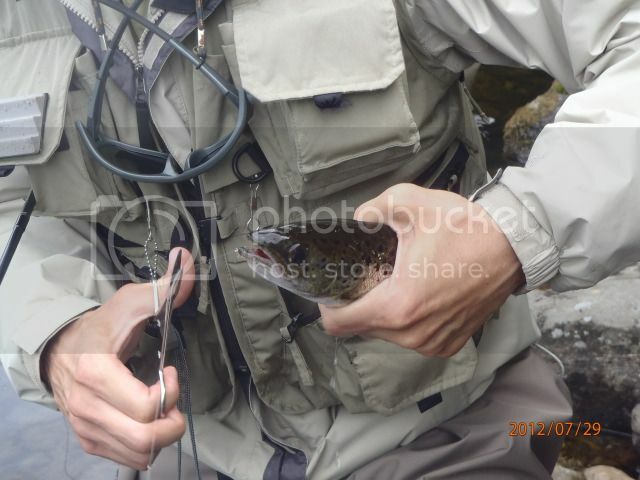 All fish were returned to the water quickly–the ones we caught and the ones we didn’t. We’ll always remember the Alamo.